The latest release of Mark Mezrani's $250 million Urban Camperdown project will hit the market in mid March as demand in Sydney's CBD fringe continues to gather pace. The project is located on the old Ryvita Biscuit Factory site along Barr St, Camperdown. Forty-two one and two bed apartments will be released in stage two and start from $665,000. The apartments are spread across eight levels and many include views across Anzac Bridge and Sydney’s CBD. Over 80 apartments and terraces valued at over $85 million comprising one, two and three beds have already been sold in stage one. Prices for apartments in stage two start at $665,000 for a one bed and two beds are priced from $1.188 million. Ceerose is currently constructing Urban with completion expected in the first quarter of 2017. Thirty-five one beds and 7 two beds are available for purchase in stage two. Urban Camperdown is located in the heart of the State government’s Western corridor activation plans. Major infrastructure projects about to start or are currently underway in the area include the gentrification and activation of the foreshore encompassing Pyrmont, Darling Harbour, Barangaroo and Black Wattle Bay. The project was designed by Allen Jack + Cottier and is being marketed by Ausin Group. Ausin Managing Director Joseph Zaja said the project had attracted strong interest due to its location. "University students who studied at Sydney University and work in the area or city are purchasing because they are familiar with the suburb and like its eclectic surrounds," he said. 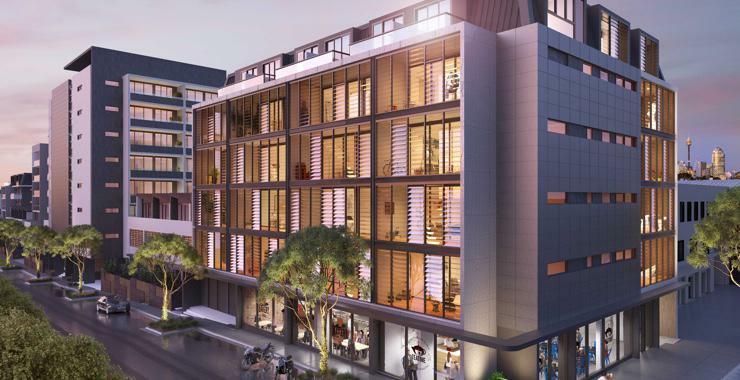 When completed Urban Camperdown will comprise 199 designer apartments and 15 three storey terrace homes across a family of five buildings with several offering city views. These range from five to seven levels and are intertwined with lush landscaped gardens and terrace homes.